Indian Council of Agriculture Research in its annual report 2017-18 said that they have developed 209 new varieties/hybrids with potential for higher yields and enhanced tolerance/resistance to various stresses across different agro-ecological regions of the country for increasing the productivity, production, and quality of the field and horticultural crops. Stressing upon the importance of modernization of agriculture, the Vice President on August 23 said that the farming technique tested across Andhra Pradesh can be a model for sustainable agriculture as it reduces the heavy input cost on agriculture and helps boost productivity. The Zero Budget Natural Farming has the potential to enhance the income or profit margins for farmers who are often under distress owing to debt, he added. He also said that scientists and farmers should collaborate to make Indian agriculture scientific and affordable. Moreover, in order to confront climate change, several climate resilient crop varieties and animal breeds have been introduced in villages across the country. Also, modernization of agriculture is impossible without enhancing the quality of higher agricultural education, and in order to attain the same, the ICAR adopted the Fifth Deans’ Committee Report. The report aims to make agriculture graduates employable by promoting professional training, administrative efficiency across varsities. Besides, online student counseling system for admissions to UG and PG programmes in agriculture universities have also been introduced recently to pace up with the modern time. The National Higher Agricultural Education,11,000 crores project, launched jointly by the ICAR and the World Bank, has been a milestone step for the enhancement of education across state universities. The main purpose of the project is to promote scientific research in agriculture by training young minds in an academic environment of expert faculties. Only time will tell how Indian agriculture fares over the time with governments claiming to take the scientific route to refurbish moribund agrarian sector of the country but the issues that the sector confronts today are more fundamental than anything. Unorganized land holdings, high prices of good quality seeds, underutilization of organic manures, faulty irrigation, poor mechanization, the paucity of warehouses are some basic issues that have plagued the Indian agrarian sector over the last few decades. The agriculture in India dates back to Indus Valley Civilization but the modern trend suggests that there has been a decline in interest of the people in agriculture owing to less income and poor facilities. 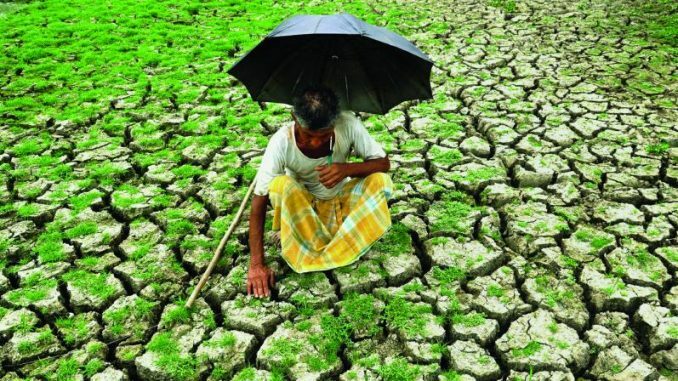 Recently, farmers from across the country, especially from Maharashtra, Andhra Pradesh, and Uttar Pradesh, have hogged the limelight for all bad reasons. Many farmers resorting to taking the extreme step out of inability to pay debts doesn’t spell out the good story for a sector that has once been the backbone of the country. The 2019 General Elections are round the corner and the current dispensation will have to win the trust of the most politically left out section of the country – the farmers . And, that is not possible by just writing off loans, and increasing Minimum Support Price. The sector needs to be refurbished to make India less dependent on food imports, and for self sufficiency.